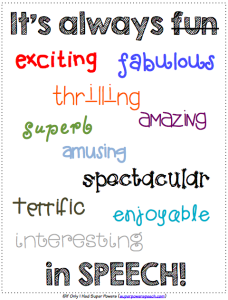 I have 19 years of experience as a Speech-Language Pathologist in the school setting. I graduated from Portland State University with a Bachelor of Science and a Master of Science in Speech and Hearing Sciences. I maintain my Certificate of Clinical Competence (CCCs), Educational Staff Associate (ESA) certificate and Washington State Health License in Speech Pathology. I am also a member of the American Speech and Hearing Association (ASHA) and the Washington Speech-Language-Hearing Association (WSLHA). I began my career in the Castle Rock School District in 1999 and have continued to be dedicated to improving the lives of Castle Rock students by supporting the development of their communication skills. I have worked with all school-age populations over the years, from preschool to high school and this year I will be working with 4th graders thru 12th graders. This year communication services for grades 4-12 at Castle Rock School District will be provided using an intensive flexible service delivery model. The first week of the month will be a student support week that allows me to provide an array of services including assisting students in whole class activities, program development, consultation with team members (problem solving), education of team members (education) and environmental adaption (assistive technology). Two weeks out of the month, students will receive intensive direct services that focus on their IEP goals, typically 4 days a week. One week out of the month they will not have communication services. She laughed her head off. Definition: She laughed and laughed. Sentence: He laughed his head off when he heard the joke. 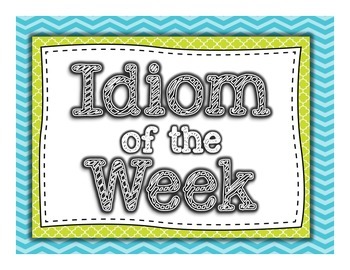 Use the idiom of the week to complete this worksheet by opening the PDF file at the bottom of the page. Print out a copy and fill it out. Return the completed worksheet to the speech room and receive an extra roll on the game board!